Carolina didn’t play their best game, but they kinda toyed with Tampa Bay and held them at bay and just grinded out a win. The Bucs defense is pretty bad and was missing its top CB…and Carolina scuffled/muddled to only 17 points. The Panthers’ defense got Luke Kuechly and Kurt Coleman back and for the third time in five games that Coleman has played a full game this season…the Panthers held an opposing team to just 3 points. Carolina is set up to make a serious run to the playoffs IF they beat Atlanta this week, and we think they will. A win over Atlanta shoots Carolina to 6-3, and effectively kills off the Falcons for the most part…making it a Carolina-New Orleans showdown the rest of the way for the NFC South. Carolina has Miami and at the Jets Weeks 10-11, so if they get to 6-3 this week…they should go to 8-3 with five games to go. They would then finish no worse than 10-6. The Buccaneers are effectively done for the season…more likely a contender for a top 5 draft pick than any playoff hopes. They’ve lost 4 in a row, they’re lucky to not be a 6-game losing streak. They’re 2-5 now, we project a 5-11 finish +/- 1. To be fair, they’ve been ravished by injuries all season. -- So, Kelvin Benjamin (3-39-1/7) was traded. I don’t think the reason why is complicated – they don’t believe Benjamin is worth the trouble. He’s not the brightest or hardest-working of NFL players, my opinion. Devin Funchess (2-11-0/6) can do similar work, in a sense…be ‘big’ for specific throws/situations. Having Funchess and Benjamin on the field at the same time was silly…similar ‘big’ but slower WRs not opening things up much. Carolina is going to the playoffs, most likely. It’s odd they would dump Benjamin now. They know something none of the rest of us knows. The trade cannot mean more Russell Shepard (1-14-0/1). It has to mean more Christian McCaffrey or more Curtis Samuel (1-11-0, 2-15-0/3). The Samuel angle for this gets interesting. Game by game I’m seeing Samuel click a little more each time. He looks a little more confident with the ball and he’s getting more yards from his work. Samuel is waiting to get a Tyreek Hill-like treatment in the offense…we’re going to find out this week if that’s the plan or whether it’s more McCaffrey. If I know the NFL, this absolutely means more McCaffrey and no change in Samuel…but I’m delusional. I’ll be watching…hoping, and then getting mad at the lack of a move to Samuel. -- Back to Funchess…I seriously question this move right now because Devin Funchess is not a ‘#1 WR’. He’s going to be asked to be…but it’s not his game. He’s a complimentary piece, not a frontline guy. For 2017, I think the Panthers will regret this move. Long-term moving Benjamin makes sense. Benjamin wasn’t great for fantasy as it was, so Funchess as the new #1 doesn’t project better. People are all excited – I’d sell Funchess as a WR1.5 valuation in a heartbeat. I keep him if no one respects him in trade talks because he will get decent targeting and the schedule ahead isn’t that tough. Long-term, Funchess will not be this team’s #1. -- I saw a first, in this game, that I can recall – the Bucs actually deployed a TE screen to O.J. Howard (2-16-0/2). Wow! Only 8 weeks into the season for them to think that one up. You have one of the most athletic TEs to even hit the NFL and 8 weeks later it dawns on you to run a little screen to him. Great. Can’t wait until Week 16 when they run it again. Seriously, the Bucs are inching their way ahead with utilizing Howard more…more designed plays, etc. They aren’t using him with serious intent as a key piece of the offense but they are now breaking out random gadget/misdirection plays with him. We’re getting there slowly but surely. Still, not likely useful for FF 2017 on any regular basis because of the way he’s used…but we’re inching towards ‘maybe’. -- Cam Newton (18-32 for 154 yards, 1 TD/1 INT and 11-44-0) will be the reason Carolina pulls off a 10-11 win season and a division title…or falls to 9-7 and possibly gets left behind for the playoffs. You never know what Cam Newton shows up week-to-week. 10 TDs/11 INTs on the season…you can’t have that from a serious contending team. You really can’t have 17 points and 154 yards passing against Tampa Bay either…it’s not a good sign. Newton has a favorable schedule ahead and he is #10 among all QBs in PPG (4pts per pass TD) this season-to-date because he is starting to crank up his running efforts. 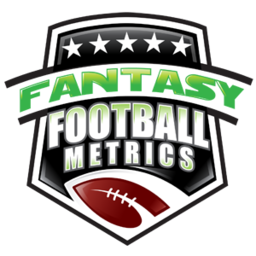 4.7 rushes per game Weeks 1-3 and 9.2 rushes per game from Week 4 on. I still say, in 4pts per pass TD leagues, if your team is collapsing a ‘hail mary’ QB to take a chance on is Cam because of what he can do running the ball…and it appears he is back to running the ball. -- It shouldn’t be long now… Soon, the football world will turn on the “Jameis Winston is great; the future of the league!” narrative. He’s not getting any better. His passer rating is about the same over his three seasons in the NFL. Over his career, he’s basically had two 5 TD pass games against the worst pass defenses of that season and a mediocre 50 TDs/39 INTs career tally otherwise. Young QBs are coming in and tearing it up and Winston is just muddling around – he gets a decent amount of yards from blind deep throws and a lot screens against prevent defenses. His efficiency and accuracy are lacking…and not improving. His fraud will soon be exposed.